Speaking in a parliament meeting today on public importance issue regarding the Indian PM’ Modi’s State visit to Nepal, Prime Minister Oli said that an environment was created to forward the Nepal-India bilateral relations based on mutual benefit. He further shared that the national interest was kept in a higher position and no activities were conducted against the national interest and the pride of the nation. Prime Minister Oli noted that the bilateral relations with India was in a ‘stressed situation’ that led towards the blockade three years ago but the relations now has turned into harmony. He argued that Nepal wants friendly bilateral ties with neighbours and other countries and the relations base on mutual benefit respect and friendship. He further noted that the Indian Prime Minister Modi’s statement has clearly mentioned the sovereignty and integrity of Nepal. The bilateral relations should be based on equality and the support will be received as per Nepal’s priority and need. The head of the government Oli further shared that projects related to railway, water ways, highway, integrated security check-posts, transmission lines, petroleum pipe lines among others were already forwarded to accelerate the development endeavours of Nepal. On another note, Prime Minister Oli said that the bilateral relations with both neighbours (North and South) will be made harmonious and strengthened. He shared that he will soon set a foreign trip to China. He said that he was positively receiving the suggestions from the public regarding various issues adding that the government was highly alert on the issues of nation, nationality, nationalism, independency and national pride as well. Prime Minister Oli also thanked the former Prime Minister, political party leaders and diplomats who had suggested him strengthening bilateral relations keeping the national interest in higher position. 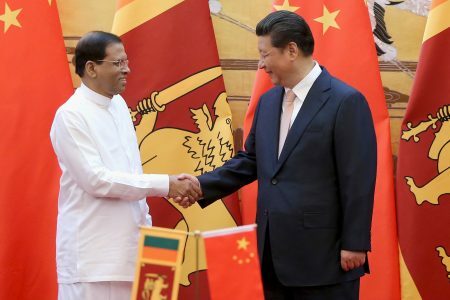 He added that the visit will further strengthen the bilateral ties and will concretize the past bilateral agreements. He also shared that a time frame has been set to forward the various projects by upcoming September referring the constitution day of Nepal. PM Oli also shared that they agreed to form a taskforce to conduct a survey for Kathmandu-Raxaul Railway and water way by the Indian Investment. 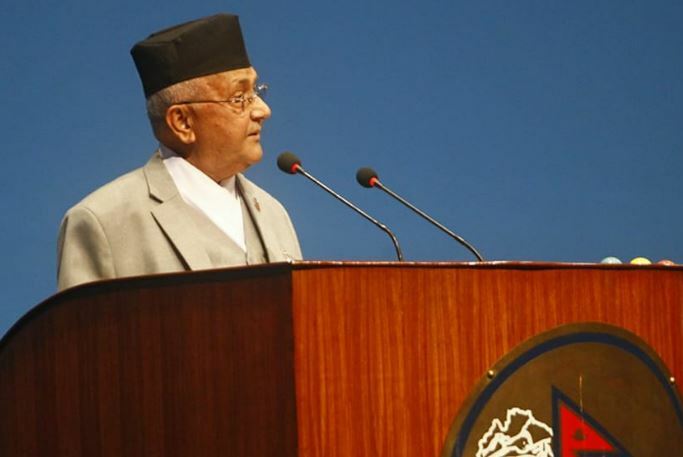 Expressing concern over Nepal’s growing trade deficit with India, Prime Minister Oli stated that measures to address this deficit need to be taken. In this context, the two Prime Ministers welcomed the outcome of the recently held Inter-Governmental Committee meeting on Trade, Transit and Cooperation to control unauthorized trade to jointly initiate a comprehensive review of the bilateral Treaty of Trade, and to consider amendments to the Treaty of Transit and related Agreements with a view to further facilitating Nepal’s access to the Indian market, enhancing overall bilateral trade, and facilitating Nepal’s transit trade. Such taskforce will be formed within three months. He added that the both Prime Ministers had agreed to remove the trade barriers seen in border sides. Prime Minister Oli committed to generate the power from Arun Third project in five years. Prime Minister Oli also expressed satisfaction over the efforts made by imminent persons group (EPG) regarding to review 1950’s peace and friendship treaty. Prime Minister Oli also shared that he had proposed to form an energy bank for the effective use of electric power. Nepal had urged India to construct a bridge in course of implementing the Pancheshwar Multipurpose Project and India was positive in this regard, Oli added. 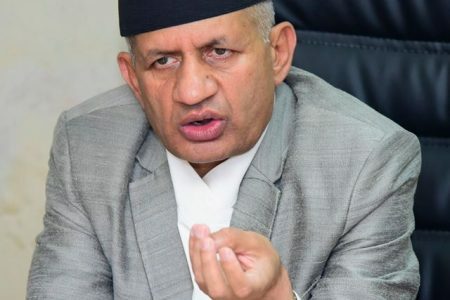 The head of the government Oli shared that they held formal and informal discussions to establish integrated check posts in Biratnagar and Bhairahawa. On another note, Prime Minister Oli said that some remarks made in Janakpur in course of civic felicitations to Indian Prime Minister Modi, was against national interest and diplomatic code of conduct.